We offer the lowest prices & more for your trade in! 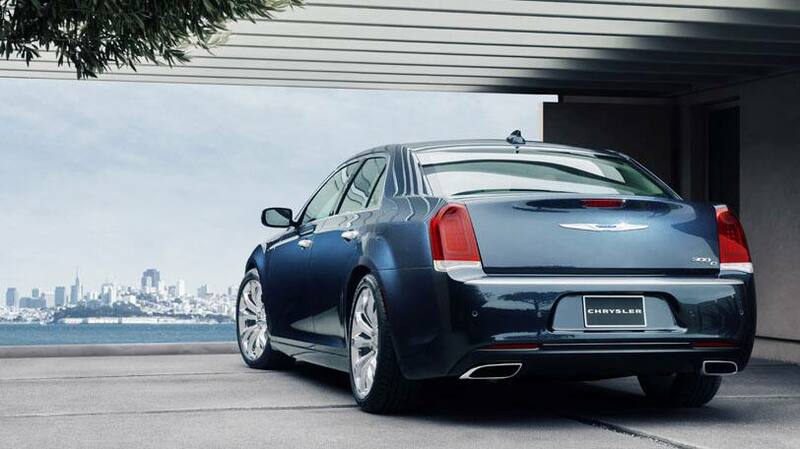 The 2015 Chrysler 300 is not your average family sedan. Its exceptional elements and exterior make for a vehicle that is impossible to overlook. 2015 Chrysler 300 sales have gone up significantly within the past several years. Select models have All-Wheel-Drive (AWD), while others have outstanding exteriors. If one is looking for a significant amount of both protection and security in the car, then the 2015 Chrysler 300 might be the car for them. Even though the vehicle was first made in the 1950's, it has many modern-day components to make it the excellent vehicle it has come to be. These vehicles boast TourqueFlight eight-speed automatic transmissions and 3.6L Pentastar® engines. They operate at up to 31 mpg highway. "Sport Mode" is a choice for drivers who want a bolder driving experience. Electric power steering permits quieter steering on a casual drive or for parking. A Powertrain Limited Warranty is available for the owner, which pays for the cost of parts and labor on the three powertrain elements: the transmission, engine, and drive system. Also available is All Wheel Drive (AWD), which prevents wheel slippage. 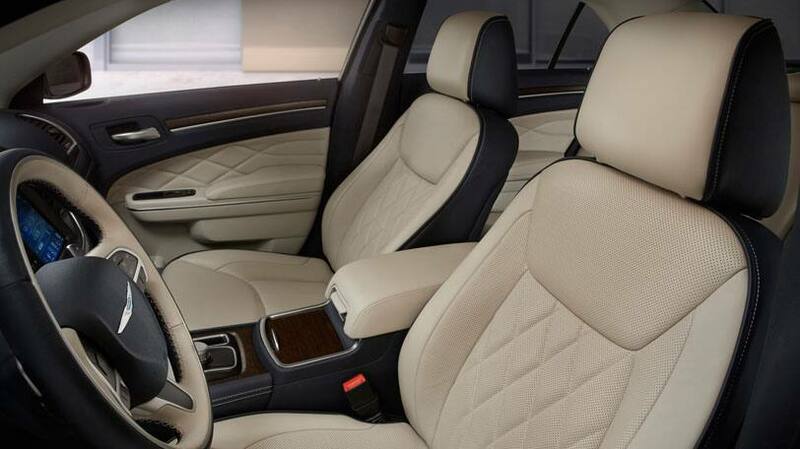 Standard heated leather seating with new stitch patterns and eight-way power. A three-spoke steering wheel and paddle shifters are also the default. Ventilated seating available. 8.4-inch touchscreen available. The operator can use Uconnect® for voice command, and Bluetooth® to listen to audio pieces. The car has 20-inch wheels, and more clear-cut grills than in previous years. The grills display the Chrysler wing badge. The car has chrome exhaust tips, either black or bright chrome depending on the model. 2015 Chrysler 300 occupants will be able to use 9-1-1 call/Assist call in an emergency, which only requires the press of a button to speak with emergency responders. Adaptive Cruise Control-Plus helps the driver avoid running into vehicles in front of them, and if required brings the car to a complete stop without driver intervention. The Parkview® Rear Back Up Camera shows the driver a picture of what is behind the car to better assist the driver with backing out of a space. No wonder the 2015 Chrysler 300 has been extremely popular amongst those looking for their new friend for the road.